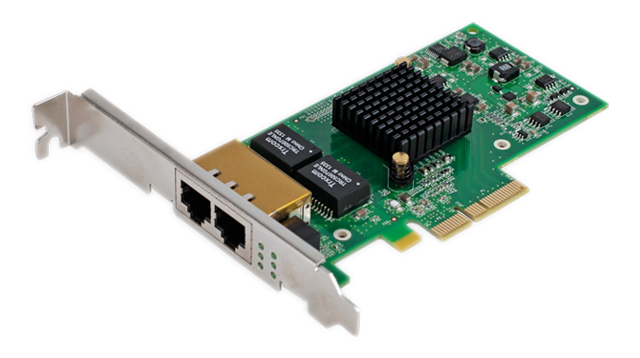 The Small Tree P2EG-2-T server card allows you to expand the network connectivity of your Mac Pro or Intel Xserve systems. Use the P2EG-2-T card to get an immediate performance increase on large transfers when connecting to other network devices that support jumbo frames or to simply connect to more networks. When used in conjunction with the built-in ports and OS X built-in link aggregation software these cards provide increased network bandwidth, transparent load balancing among the ports, and transparent fail over if one or more ports or cables become disabled. Mac Pro with PCI Express and the Intel-based Xserve with Mac OS X 10.7 or later.